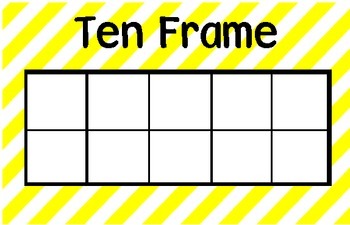 The common core standard for first grade states that the students will understand that the two digits of a two-digit number represent amounts of tens and one. 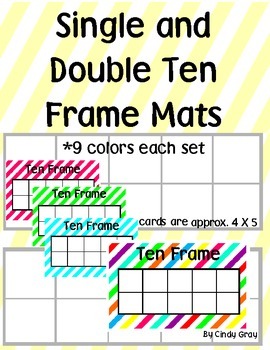 This is a set of single and double ten frame mats. There are in 9 colors with a B/W copy for each set. The cards are approximately 4" X 5". 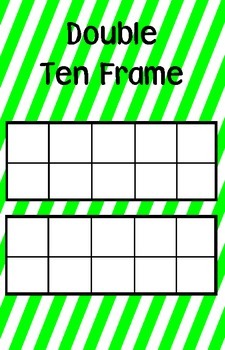 These cards work well with whole group lessons on place value as well as at a math station. 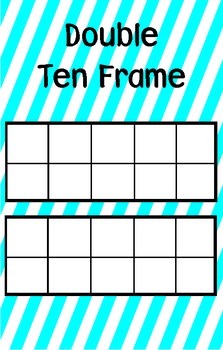 Last year we used base ten blocks to practice representing numbers as a group of tens and ones. We also used the cards to help us to add numbers like 7+ 5 by making a ten and having some left overs. We also hooked unifix cubes into ten trains and ones so we could use them as well in our learning. I would suggest copying the cards onto card stock and laminating before use.